In Texas, DQ is as much a part of life as the post office or city hall. In fact some small towns have a DQ but neither of the other. 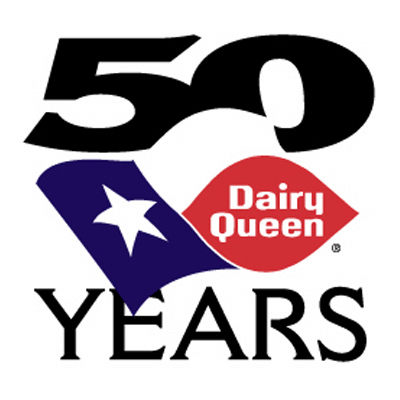 When the time came for the 750 stores in the Lone Star State to celebrate their 50th birthday, we created this logo for them.